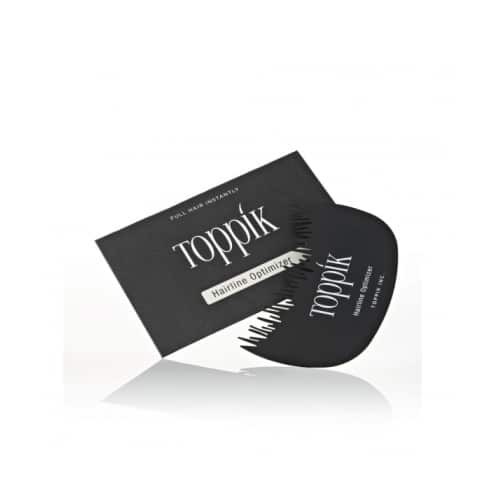 The Toppik Spray Applicator allows you to apply Toppik Hair Fibers with a lot more precision and depth. 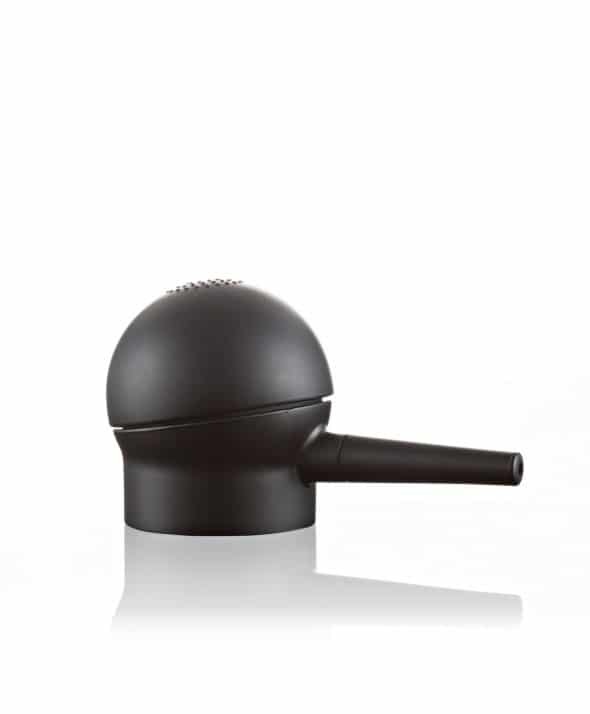 Using the spray applicator to be able to reach the roots in the crown area and the parting allows you to be able to give precise application and in turn use less Toppik Hair Fibres, making it last a lot longer. 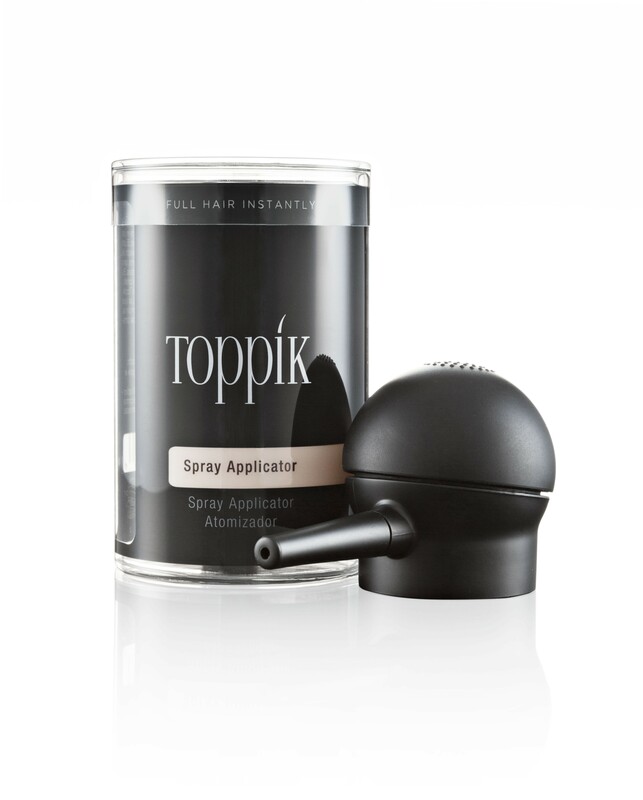 The Toppik Spray Applicator significantly improves the great result you get when using Toppik Hair fibers. The applicator sprays the hair fibers onto your hair which gives an even, more natural look as the fibers can be targeted to specific areas. Because of this precision it makes the spray applicator an economical purchase – quite simply, you use less Toppik Hair Fibers! 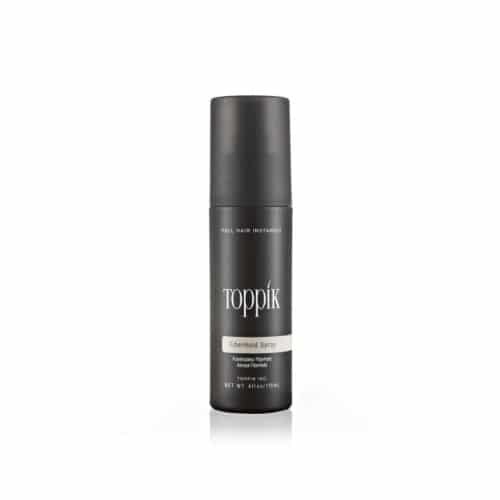 For best results use this with Toppik Hairline Optimiser, a laser generated template that perfectly mimics your natural hairline. 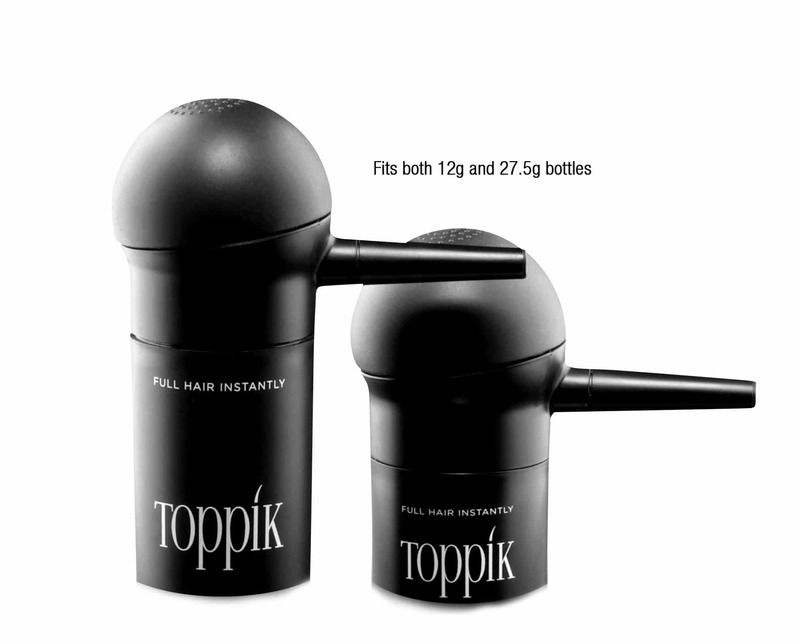 The spray applicator is only suitable for use with the regular (12g) and large/economy (27.5g) size Toppik hair fibers.